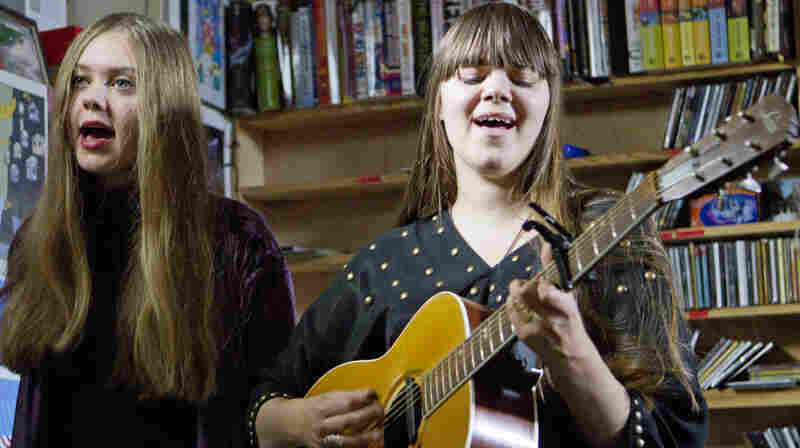 March 28, 2012  Swedish sisters whose charming, folk-infused pop music nods to late-'60s and early-'70s bands like Crosby, Stills & Nash, First Aid Kit performs three songs from The Lion's Roar. 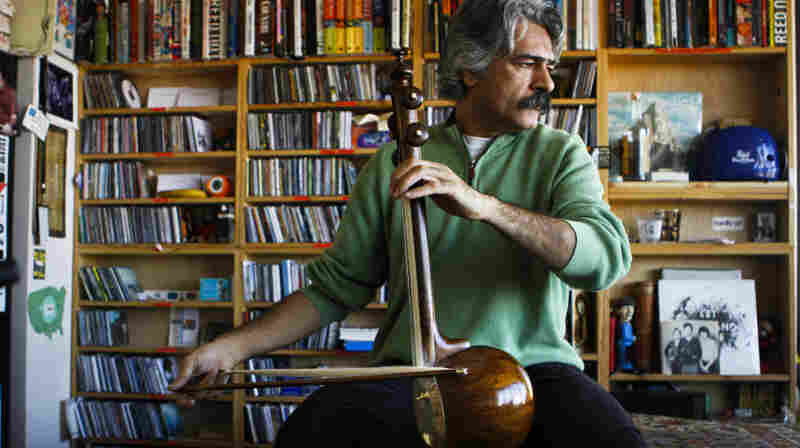 March 24, 2012  A soulful master musician from Iran, Kayhan Kalhor gives a beautiful and introspective performance to celebrate the Persian New Year, Nowruz — and shows us something about the art of improvisation. 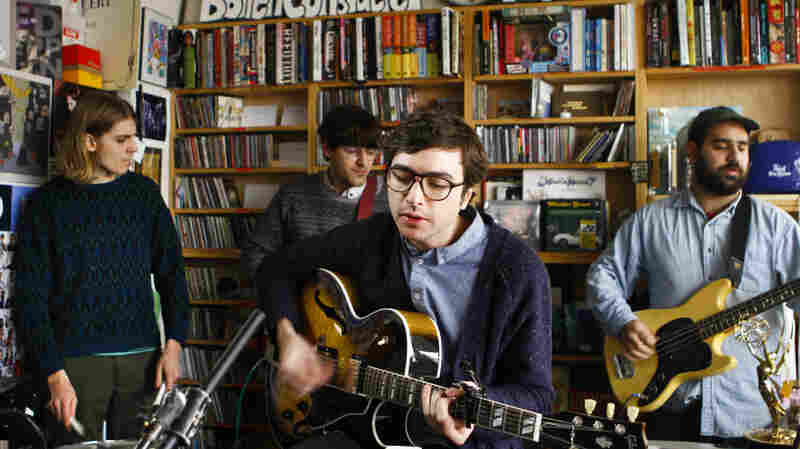 March 12, 2012  Real Estate wears placidity well: It's a band born and bred to convey and celebrate laconic comfort. In its three-song concert in the NPR Music offices, the quintet re-creates its studio sound with airy precision. 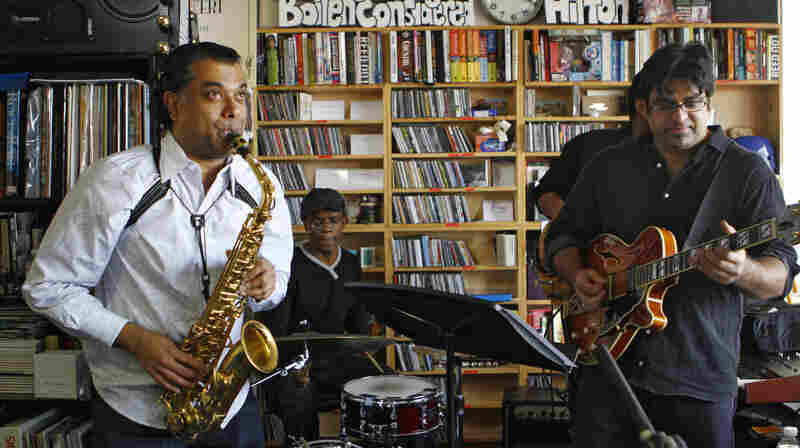 March 8, 2012  The saxophonist's new repertoire salutes electric funk, South Indian modes and swarming improvisation. It's impressive on record, but it becomes a bug-eyed, mouth-agape experience live. 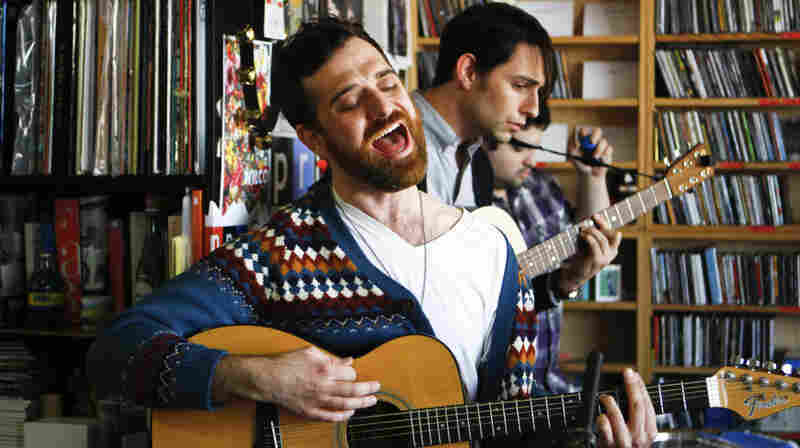 Naturally, you could spot a few contorted faces when he played the NPR Music offices. March 5, 2012  Her gorgeous, whispery voice inspired the Tiny Desk Concerts series in 2008. 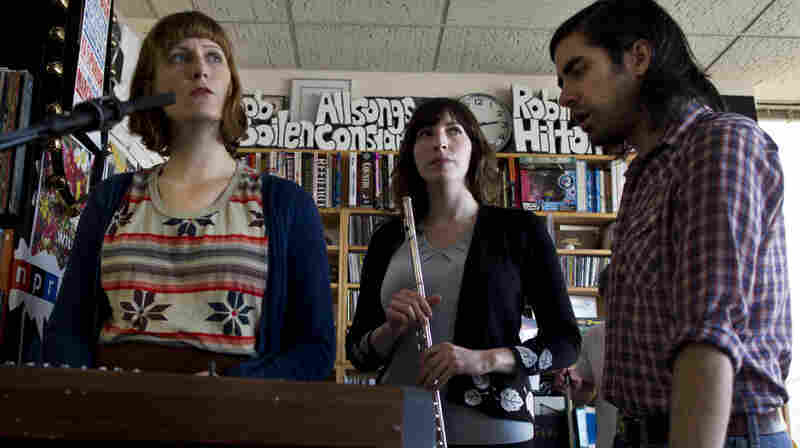 Now, Laura Gibson returns with her band to perform four songs from her new album, La Grande. March 1, 2012  Pistolera conjures the sounds of the Mexican desert by way of a cold basement in New York City's Chinatown. 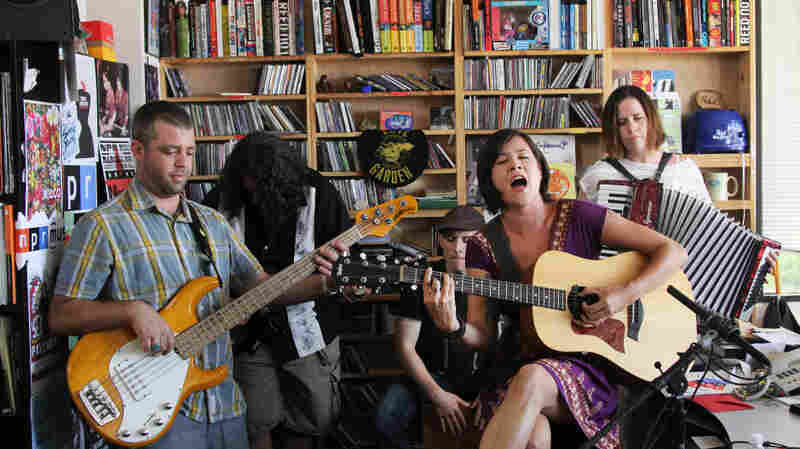 With the aid of a stellar band and insightful lyrics, songwriter Sandra Velasquez performs the music of her youth in California at the NPR Music offices. 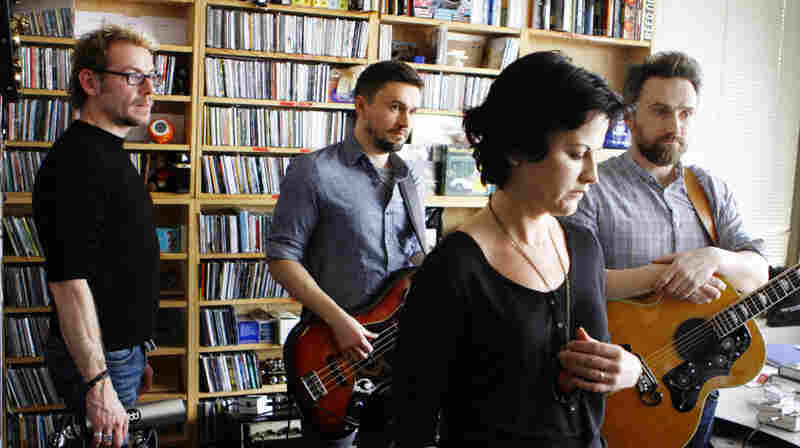 February 27, 2012  A band of selective minimalism, Milagres gets the most of simple sounds at the NPR Music offices. The result is songs which sound big and strong — delicately built, yet sturdy enough for the emotive sounds of Kyle Wilson's voice. February 23, 2012  The best-selling Irish pop-rock band has returned with a new album called Roses. 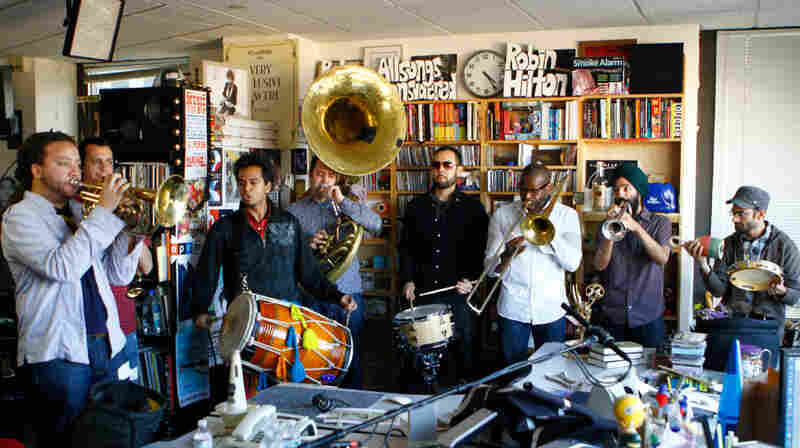 But the group isn't afraid to dip into its arsenal of early hits at the NPR Music offices. February 16, 2012  With his songs of heartache, Soriano is an essential piece of the bachata story. 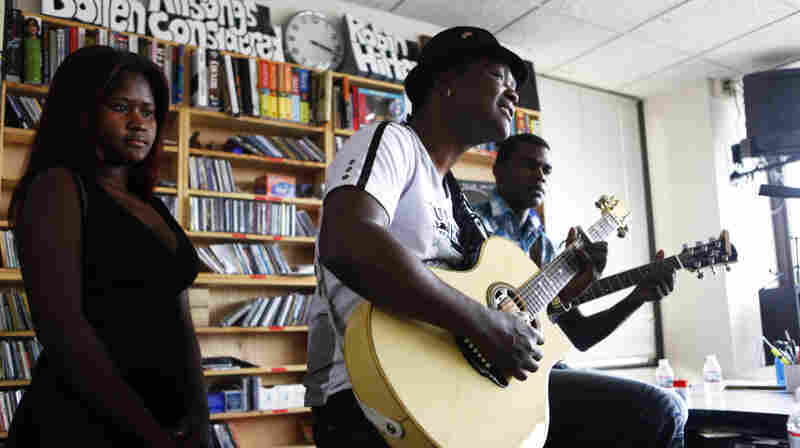 Known as "El Duque de la Bachata" ("The Duke of Bachata"), Soriano gives a raw but beautiful performance at the NPR Music offices. February 14, 2012  One of the best party bands around, Red Baarat plays rollicking funk music steeped in Northern India's wedding celebrations, with a dash of D.C. go-go beats and hip-hop. 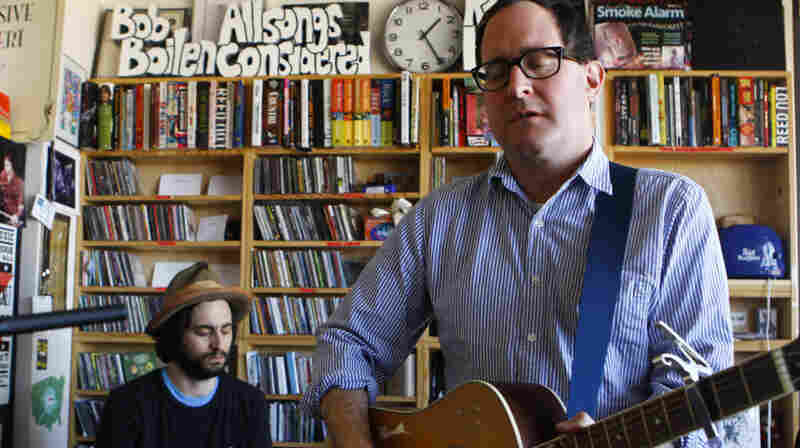 February 9, 2012  All these mournful, inward-facing songs (including the unreleased "Jeremiah's Blues") require is the Hold Steady singer, his acoustic guitar and the indispensable pedal steel of Ricky Ray Jackson. February 6, 2012  With a musical history that dates back to the late 18th century, the group has revitalized a long-lost culture through music performed largely a cappella and entirely in Haitian Creole. 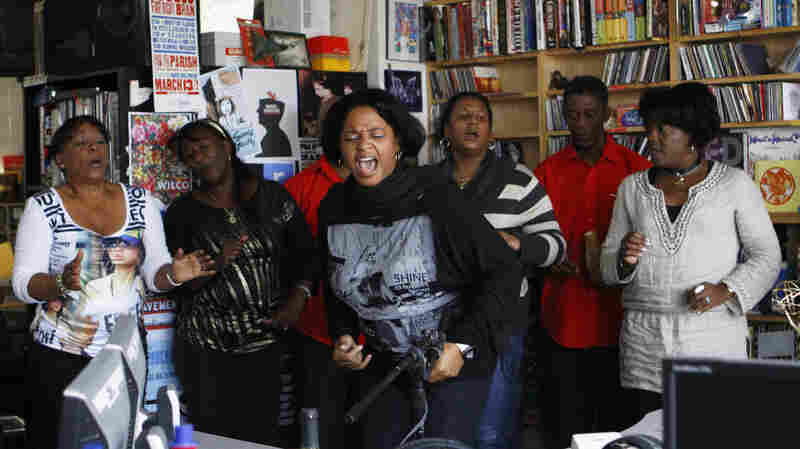 Watch The Creole Choir of Cuba mash up Cuban and Haitian cultures in this spirited set at the NPR Music offices. 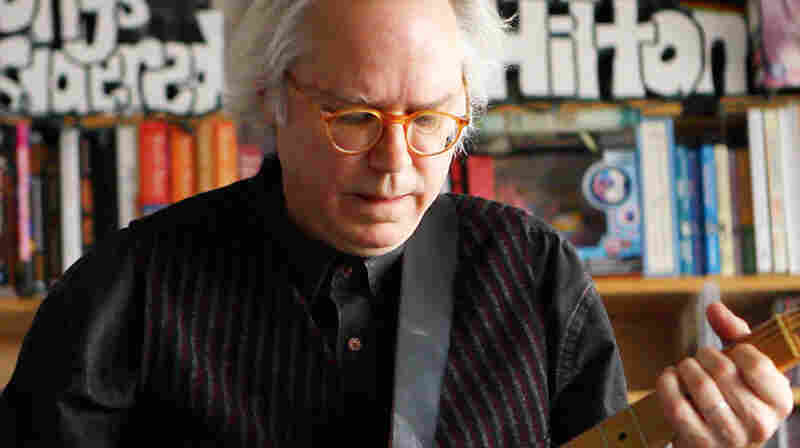 February 3, 2012  The brilliant and nimble guitarist reinvents the songs of John Lennon at the NPR Music offices. 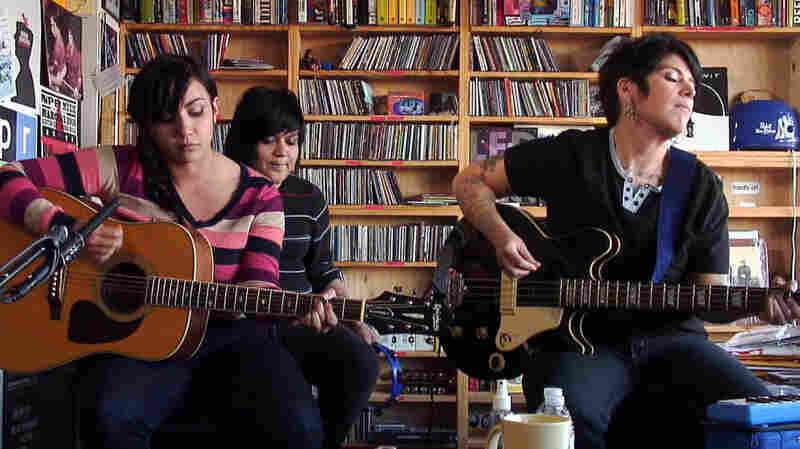 January 30, 2012  Girl In A Coma is known for crunchy guitars, seamless musical interplay and Nina Diaz's alluring voice. But here, the San Antonio trio deftly gets back to basics to explore not just the form of its songs, but also the soul of its lyrics.